The data center of the future might do more than crunch and store information. In addition to serving web pages, streaming Netflix videos, and hosting social networks, data centers might produce their own power. Data centers consume a lot of energy. In the United States, data centers used 76 GWh of electricity in 2010 (or roughly 2 percent of the country’s energy usage, according to a report in the New York Times. Therefore, companies are looking for ways to reduce energy usage and pollution while maintaining reliability. A team of researchers at Microsoft is studying how they could bring the power plant into the data center itself to improve efficiency and reliability using fuel cell technology. “We are taking an unconventional approach to power a datacenter entirely by fuel cells integrated directly into the server racks. This brings the power plant inside the datacenter, effectively eliminating energy loss that otherwise occurs in the energy supply chain and doubling the efficiency of traditional data centers”, writes Sean James, Senior Research Program Manager for Microsoft’s Global Foundation Services (the group that manages the company’s data centers). Data centers typically source electricity from utilities (or in some cases provided by onsite renewable generation). If electricity is purchased from the grid, it is likely produced using some form of combustion. First, fuel is combusted to spin a turbine (either directly in a gas cycle or using steam). The turbine blade then spins a generator to produce electricity, which is then transmitted and distributed along wires until it gets to the data center. The laws of thermodynamics tell us to expect losses at each of the stages, so much so that only 20 percent of the energy produced at the power plant makes it to the server rack. Losses occur every time energy changes form (say, going from chemical energy in the fuel to thermal energy in steam, to mechanical energy of a spinning turbine blade, and so forth). By eliminating the number of energy conversions, James and his team have found they can double the efficiency to 40 percent. April 10, 2019 - Qualcomm Dives Into The Deep End Of The Data Center ForbesAnalyst Karl Freund provides his takeaway from Qualcomm's recent AI Day event. April 12, 2019 - Building Out The Edge One Datacenter At A Time The Next PlatformOver the last two decades, hyperscale datacenters have reshaped the computing industry, making possible cloud computing, online retail, and media. April 8, 2019 - Huawei's CloudEngine Datacenter Switch for the AI Era is Revolutionary Interesting EngineeringHuawei's world's first data center switch for the Artificial Intelligence era is set to change the data center as we know it. April 2, 2019 - Power Distribution, Inc. Debuts New PDU at DCD>New York GlobeNewswireCompany Partners with GateView to Offer Innovative, Reliable Power Distribution for all IT Environments. April 15, 2019 - Construction halts on Apple data center in Denmark Cult of MacConstruction has been abandoned on Apple's new data center in Denmark, according to local reports. November 9, 2018 - How Machine Learning Is Used to Manage Data Center Power Today Data Center KnowledgeHere's how solutions already on the market today are using ML to improve data center uptime and efficiency. April 18, 2019 - Damaged Electronics General Salvage Sale Website Updated NewswireRobert Alexander's general commercial salvage company announced that its website and services have been upgraded. February 27, 2019 - Is Your Data Center Power System Protected from Cyberattacks? Data Center KnowledgeThe most critical infrastructure in the data center also happens to be the most overlooked one by cybersecurity teams. July 18, 2018 - Semiconductor Engineering Data Center Power Poised To Rise - SemiEngineeringData Center Power Poised To Rise Shift to cloud model has kept power consumption in check, but that benefit may have run its course. September 5, 2018 - How Software-Defined Power Can Increase Data Center Capacity Data Center KnowledgePolicy-based SDP creates a truly robust way of adding capacity to an existing data center without upgrading the power architecture. August 15, 2018 - Data center power efficiency increases, but so do power outages Network WorldAn Uptime Institute survey finds the power usage effectiveness of data centers is better than ever. However, power outages have increased significantly. April 7, 2019 - Why Intel expects dumb IoT devices to get smarter and smarter VentureBeatIntel expects processing for the internet of things to happen at both the edge and the center of the network. That creates demand for more AI. September 13, 2018 - Flexible modern data centers demand flexible PDUs Data Center KnowledgeData center managers need to prepare for increasing power density as well as more challenging and non-standard environments. April 18, 2019 - At ASF 2019: The Virtuous Circle of Big Data, AI and HPC EnterpriseAIWe've entered a new phase in IT -- in the world, really -- where the combination of big data, artificial intelligence, and high performance computing is. November 21, 2018 - How Data Centers Power Wall Street and the Financial Sector Data Center FrontierData is the lifeblood of the financial services industry. Here's a look at how Wall Street and the financial sector rely upon data centers. August 9, 2018 - Uptime's Data Center Survey Shows Increased Downtime and More Efficient Power Use Data Center KnowledgeUptime Institute has issued its eighth annual Global Data Center Survey report. July 19, 2018 - ​Addressing the issue of power generation in data centers DatacenterDynamicsRunning an energy efficient and energy effective data center can only happen as a result of careful thought and implementation. February 25, 2019 - Innovative Backup Power Solution for Data Centers IEEE SpectrumUPSs are not always the ideal solution for securing a data center. It is time for new solutions to bring new benefits. August 17, 2018 - Google just gave control over data center cooling to an AI MIT Technology ReviewIn a first, Google is trusting a self-taught algorithm to manage part of its infrastructure. February 14, 2019 - Data center glossary: 12 terms you should know TechRepublicYou may hear data center administrators toss around some strange terms--what do they all mean? This data center glossary should help answer that question. April 18, 2018 - New Workloads, Cost Pressures Drive Up Data Center Power Densities Data Center KnowledgeOperators pushing racks to work harder by increasing power density inside each rack. January 11, 2019 - Google planning $600 million data center in Becker powered by Xcel wind farms Minneapolis / St. Paul Business JournalGoogle Inc. is apparently planning to build a massive data center in Becker that would be powered by Xcel Energy Inc. wind farms. November 2, 2018 - Microsoft CEO Nadella: Underwater Data Centers Are the Future Data Center FrontierMicrosoft CEO Satya Nadella says the company's underwater data center, known as Project Natick, could play a key role in Microsoft's future. May 30, 2018 - How Microsoft is Keeping Its Cloud More Efficient Than Your Data Center Data Center KnowledgeData center design, hardware design, and operational efficiency combine for a dramatic reduction in energy use. February 19, 2019 - What 5G Will Mean to The Data Center Industry Data Center Frontier5G wireless is expected to increase the volume of mobile data. Here's a closer look at the 5G rollout and what mean for data centers. October 4, 2018 - Dallas Data Center Market One of Largest, Most Active in US Data Center FrontierThe Dallas data center market is the third largest in the country. Here's a look at the factors driving the region's data center building boom. January 16, 2019 - The data center landscape of 2025 – what you need to know now DatacenterDynamicsInstead of arguing over what may or may not happen, why don't we have a discussion about what our interactions with customers and prospects are telling us? September 20, 2018 - The benefits of on-site power generation DatacenterDynamicsGas-powered generators offer a convenient supply of electricity that's independent from the grid. January 10, 2019 - Google looks at building $600 million data center in Becker Star TribuneGoogle is looking at building a giant Minnesota data center in Becker that would cost at least $600 million and be powered by two dedicated wind farms. October 22, 2018 - New Ways to Deploy Edge Capacity for Data Center Leaders Data Center FrontierData center leaders are looking for new ways to deploy edge capacity for their facilities. Here's what you need to know. August 29, 2018 - The hottest and coolest data center locations DatacenterDynamicsClimate may affect data centers, but the overriding factor will be where the demand is. September 7, 2018 - Data Center 101 Report Series Explores Integral Knowledge of Data Center Industry Data Center FrontierData Center Frontier brings its readers the Data Center 101 series that serves as an introductory guidebook to the data center industry. January 9, 2019 - Evoque Launches Colocation Business With Former AT&T Data Centers Data Center FrontierEvoque Data Center Solutions is a new colocation player formed through the purchase of 31 data centers from AT&T. January 3, 2019 - $10B Apple plan part of surge in data center construction Construction DiveConstruction industry news, trends and jobs for building professionals who want mobile-friendly *content*. January 3, 2019 - Cologix Taps COLO-D Hyperscale Design for 100MW Campus in Ashburn Data Center FrontierCologix Plans a 100 Megawatt Data Center Campus in Ashburn, Va. with a design adapted from newly-acquired hyperscale specialist COLO-D.
February 7, 2019 - Widespread Wells Fargo issues blamed on data center outage, cause disputed DatacenterDynamicsCustomers of US bank Wells Fargo have been left unable to access ATMs, or their online and mobile banking accounts due to a widespread outage. September 21, 2018 - France to cut electricity tax for data centers DatacenterDynamicsTo boost the country's digital economy, currently lagging behind other developed countries. November 14, 2018 - Five Ways Machine Learning Will Transform Data Center Management Data Center KnowledgeWhile efficiency and risk analysis are the top use cases today, the data center industry is only scratching the surface of what will be possible in the future. July 19, 2018 - CyrusOne, H5 Bring More Data Centers to Quincy Data Center FrontierThe data center market in Quincy, Washington has two new entrants: CyrusOne and H5 Data Centers. September 12, 2018 - Server Technology's HDOT Cx Future-Proofs Data Center PDU Investments with Flexible, High-Density Data Center Power Distribution Systems GlobeNewswireNew Era of Dynamic Data Center Power Distribution Units Poised to Retire Stagnant Power Strips as Facility Requirements Continue to Change. 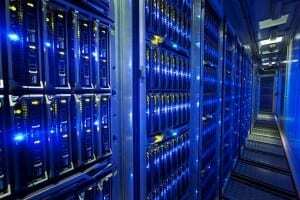 December 12, 2017 - Data centres of the world will consume 1/5 of Earth's power by 2025 Data EconomyAlarming new research suggests that failure to source renewable energy could make data centres one of the biggest polluters in just seven years. October 1, 2018 - Photonics for Datacenters: Integrated optics permeate datacenter networks Laser Focus WorldPhotonic integrated circuits (PICs) and silicon-photonics-based optical engines will expand datacenter capabilities over the next decade. February 12, 2019 - IBM Puffs Up Power Iron On Its Public Cloud The Next PlatformIBM, which arguably has the largest remaining big iron server business in the world, is one step closer to making systems based on its own Power.